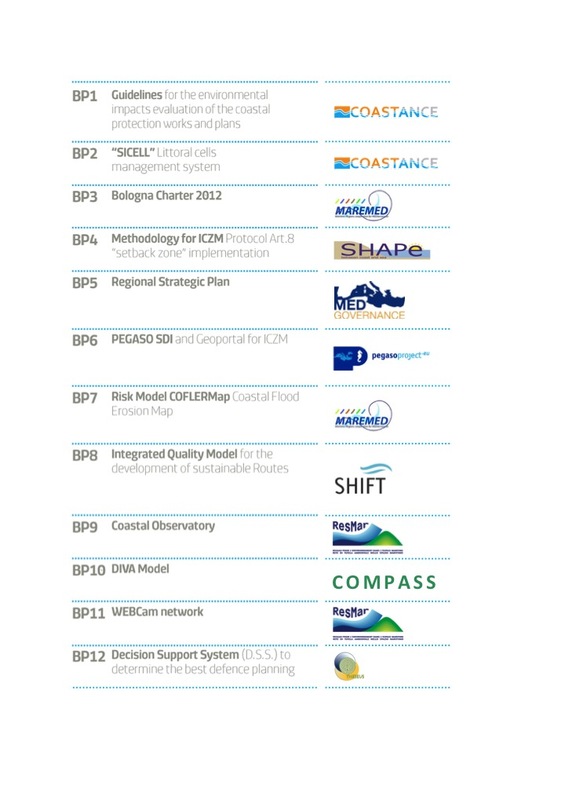 COASTGAP capitalized 12 best practices from 9 projects (funded by the MED and other programmes) included in the Facecoast cluster, to underpin governance and adaptation policies aiming to reduce risk along coastal zones and foster their sustainable development. 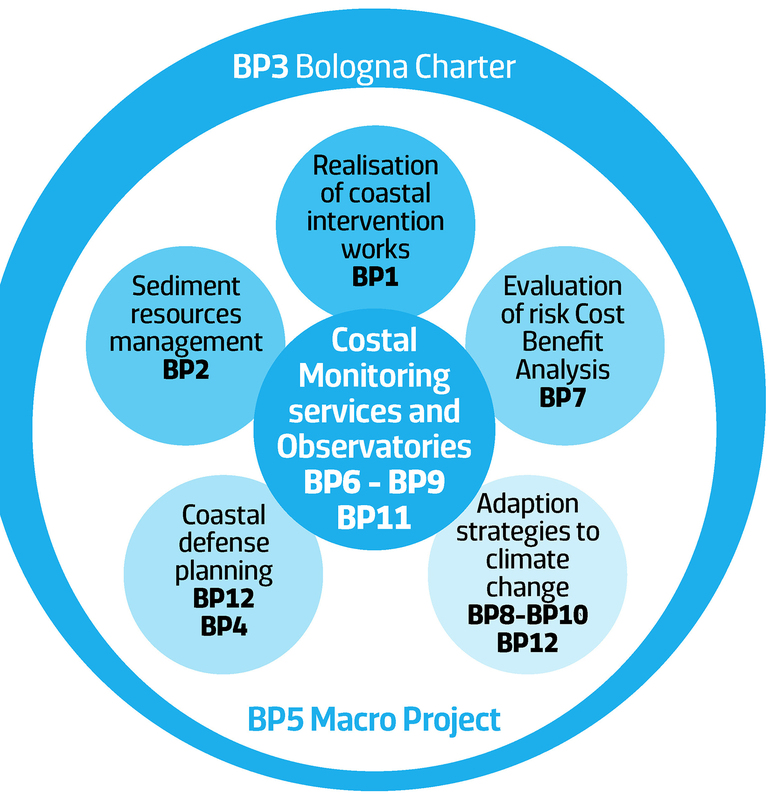 Based on the results of the capitalization and supported by multi-level agreements, COASTGAP produced the “Joint Action Plan on Med coasts Adaptation to Climate Change” (JAP) aiming to provide an operational and coherent strategy for the 2014-2020 financial period. The JAP identifies a number of initiatives (studies, researches, projects, communication actions, dissemination actions, clustering, etc.) encompassed into the general Macro-Project outlined by the Bologna Charter 2012; i.e. the European regions Charter for the promotion of a common framework for strategic actions aimed at the protection and sustainable development of the Mediterranean coastal areas. A number of JAP initiatives are directly or indirectly related to MSP.